← WTF ?? URGENT HELP NEEDED. FEW OF YOU GUYS CUD BE URDU SCHOLAR, CAN U PLEASE CONFIRM IF IT REALLY IS “BAZAAR” AND NOT “HAZAAR”. Before posting yesterday i eared with three guys who know urdu well. 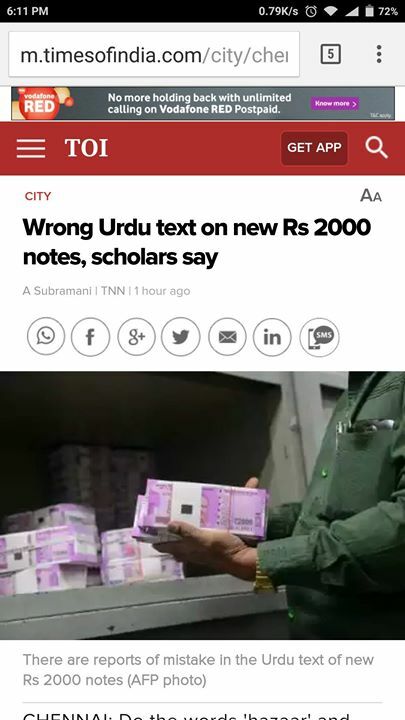 Source: http://m.timesofindia.com/city/chennai/wrong-urdu-text-on-new-rs-2000-notes-scholars-say/articleshow/55388032.cms?utm_source=toiandroidapp&utm_medium=Twitter&utm_campaign=show BUT CAN Times of India go wrong ? ?